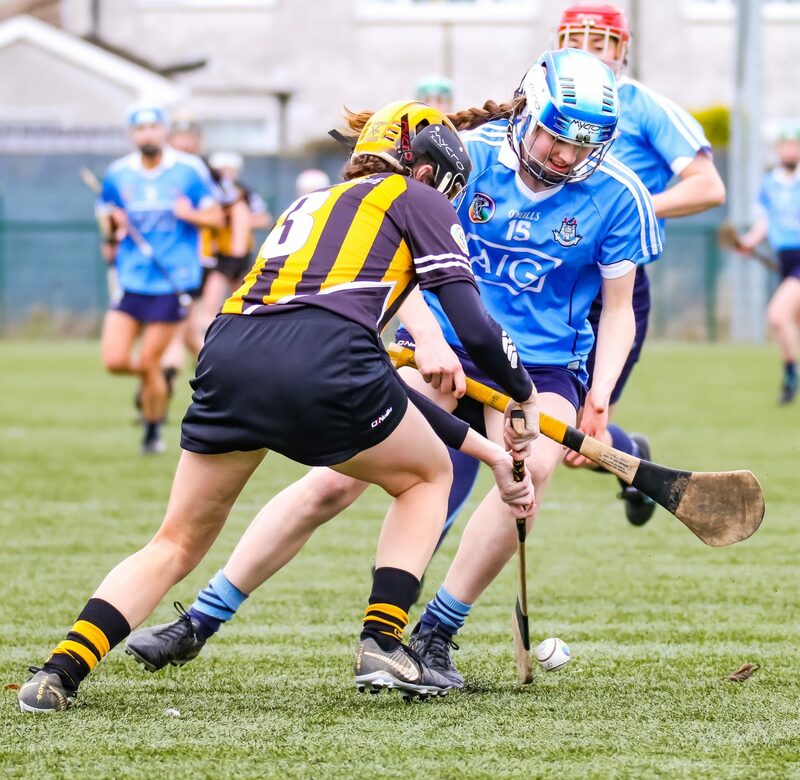 Dublin’s Premier Juniors kept their unbeaten league run intact today with a hard fought draw against Kilkenny in their Littlewoods Ireland Camogie Leagues division 2 encounter. The opening five minutes of the clash in Parnells GAA club this afternoon was end to end with both sides going hammer and tongs at it. Kilkenny took the lead in the sixth minute with a good point from play scored by Rachel Kelly. Two frees from the same player and a point from Hannah Kelly pushed the lead out to four for the girls in amber and black. Dublin finally got their first score of the game in the 18th minute with a point from Aoibhe Dillon. Two more frees from Rachel Kelly gave Kilkenny a five point lead with seven minutes to go to the break. 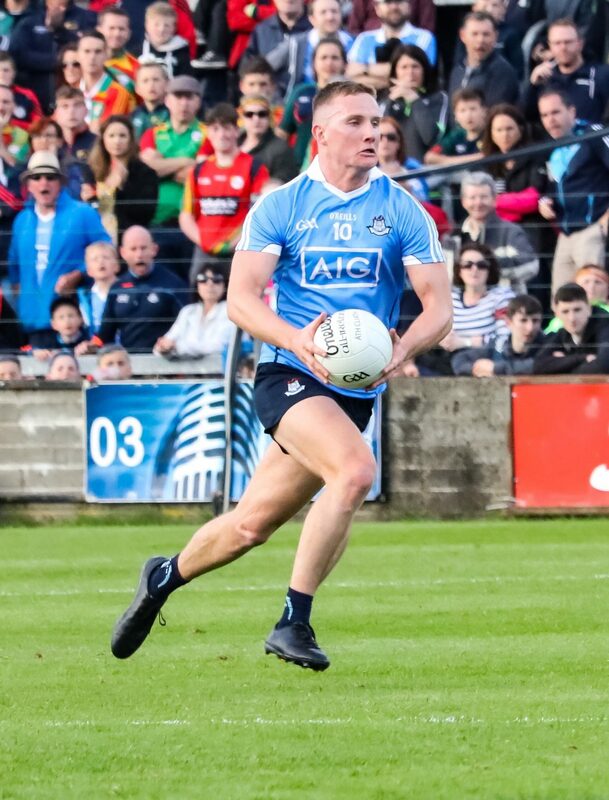 Dublin were though were starting to dominate the ball as the clock ticked towards half time but they needed something special to get back in the game. 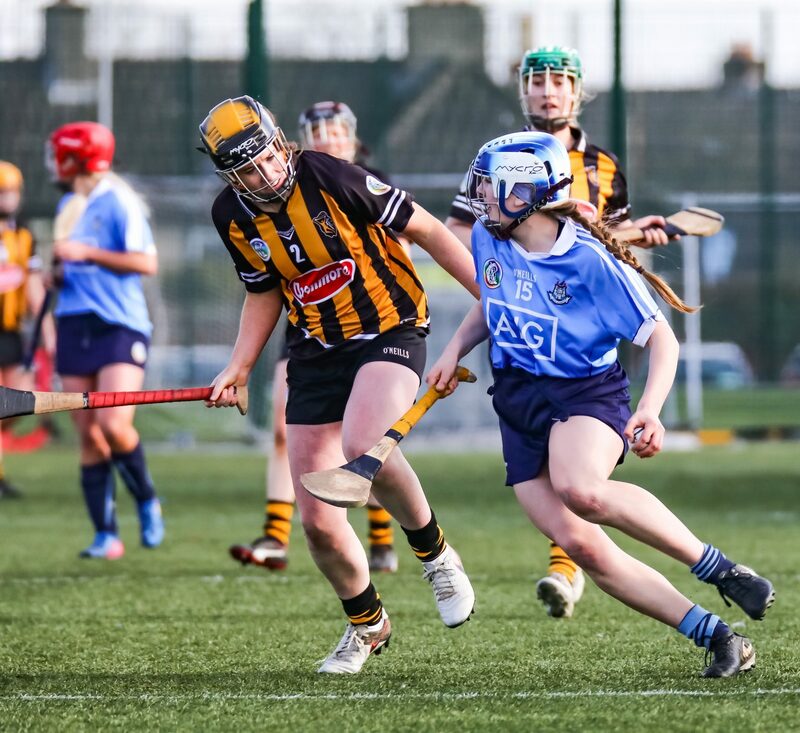 It arrived a minute before the short whistle when Captain Emer Keenan reacted quickest to a loose ball and flicked the ball to the back of the net. Kilkenny had the last say of the half with a nice point from play by Mary O’Connell and the girls from the Marble City took a three point lead with them to the dressing rooms with the score 0-07 to 1-01 in their favour. Just like the first half it was Kilkenny who grabbed the first score after the break a point from Lydia Fitzpatrick. Dublin responded with a pointed Free from Aoibhe Dillon. A point in the 41st minute from Hannah Kelly for The Cats was cancelled out a minute later with an excellent point from Aoibhe Dillon. 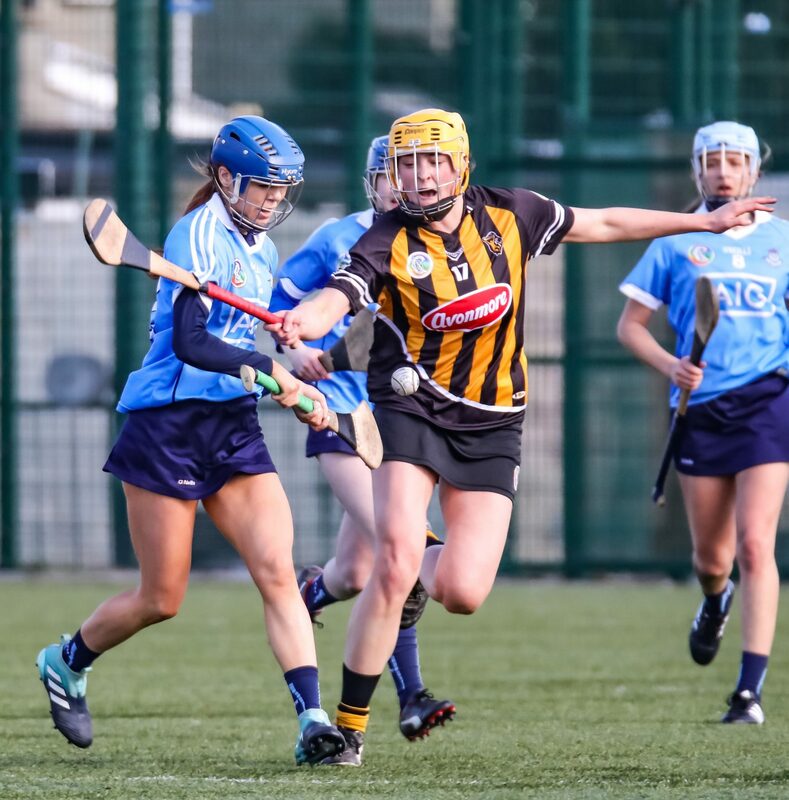 When Rachel Kelly knocked over her fifth free of the game to give Kilkenny the lead by four they looked to be on the way to claiming the league points on offer. But Dublin further upped their work rate down the home straight and drove relentlessly at the Kilkenny defence. Three quick points from Evelyn Twomey with two and Roisin Drohan with the other put just the bare minimum between the sides with three minutes remaining. 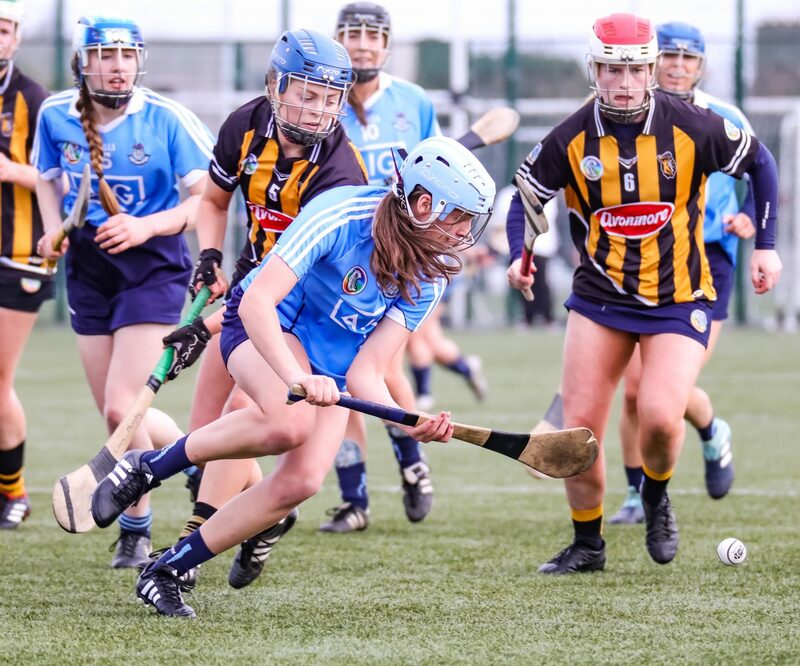 Dublin now had all the momentum and moments later it looked like they had taken the lead, a long ball was flicked back on the end line by Laoise Quinn into the path of Roisin Drohan who smashed it to the net. But one of the umpires signalled the ball had crossed the end line before being flicked to Drohan, it looked a dubious call. Just as the game headed into injury time Dublin drew level with a brilliant point from the ever industrious Caragh Dawson. 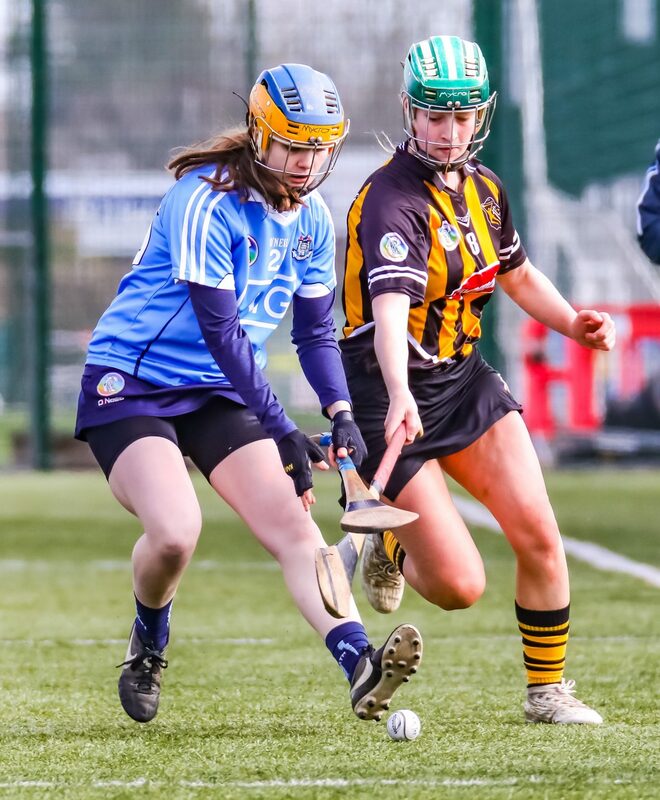 Two minutes later Dublin were awarded a free about 45m out, up stepped Niamh Rock and the Na Fianna player made no mistake and slotted the ball straight over the black spot. 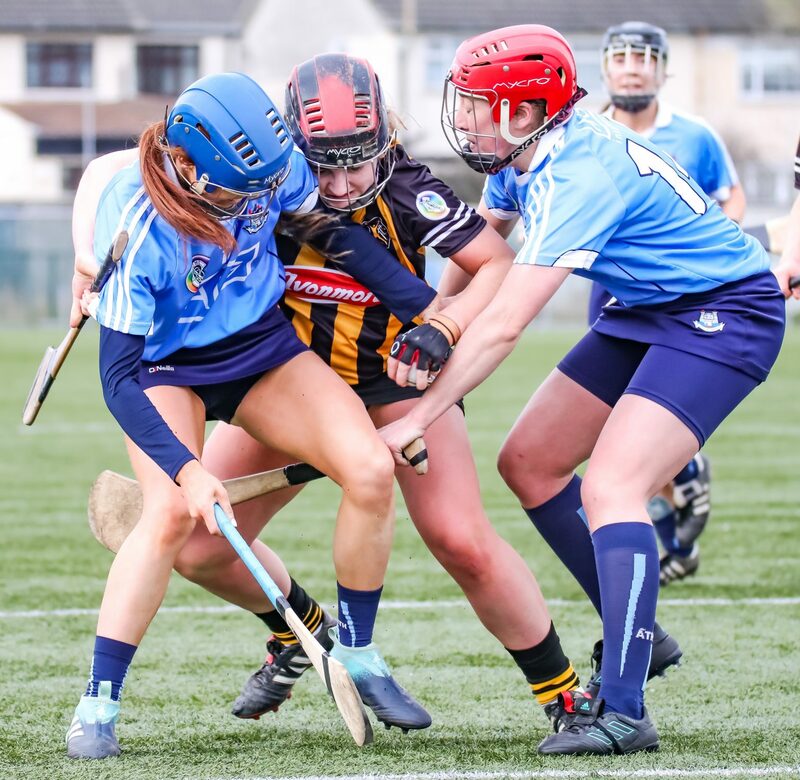 It looked like the girls in blue had done enough to claim the win but as the game ticked towards the fourth minute of injury time Kilkenny were awarded a free and Rachel Kelly swung over her sixth dead ball strike of the game to claim a share of the spoils.